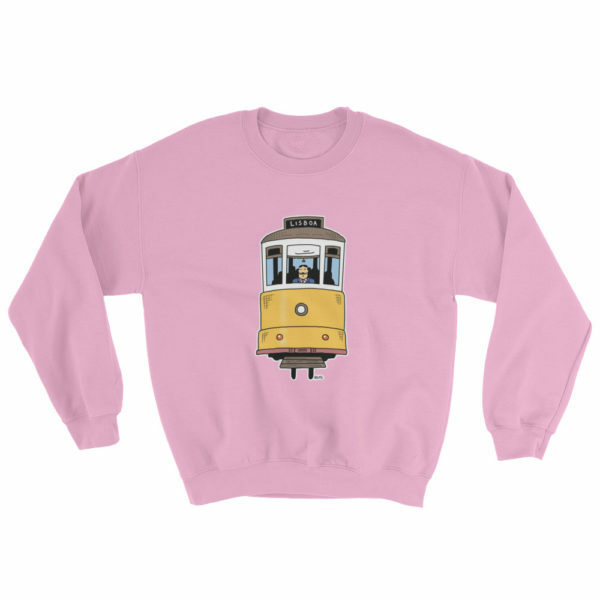 Lisbon’s trams are an integral part of the public transport network, once in Lisbon don’t hesitate to take tram 28, it’s a tram that rattle and screech through the narrow streets of Lisbon. 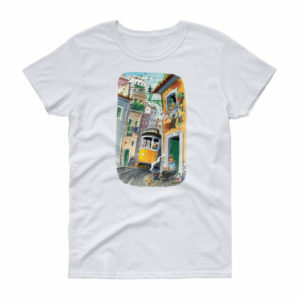 The 28 is the most scenic route, which crosses the Alfama district. 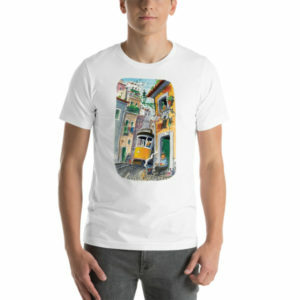 NOTE that this product is printed on demand, this means it will be made exclusively for you! After you check out, we take on average 3 days to fulfill your order and ship it. Shipping time begins after fulfillment and the speed depends on the shipping option selected. 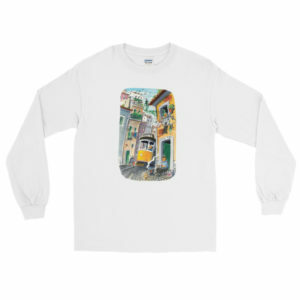 Hauke Vagt is a renowned artist, illustrator and painter, born in Hamburg, Germany, chose Lisbon to live and portray the day to day life of the city, expressing, like no other, the soul of the Alfama district through his creations.